We had problems with dash coding,because when ecu,ews and dash connected each other thru can ,dme coding failed. To solve this problem we cutted of the ews and made an emulator in ecu. Engine mouns were made from 5mm stell so are the places where rubber mounting on subframe. If someone will swap V8 its easier to take subframe from e30 with fron stabilizator bar (e30 has it on the other side and dont disturb oil pan)Also 30mm spacers neede between subframe and body. Oil pan also needs to be cutted a bit ,to get some free plase to mount engine max backside ang downside for better hadling. Ehxaust headers are from X5 ,ehxaust piping made like this because e46 body doesnt have enough place for pipe on the drivers side as e30&e36. If some one have any questions,please ask. Nice! Planning on repainting any of the mounts? In a bacon and egg sandwich, the chicken is involved, but the pig is committed. Be that pig. Its already powder coated,just dont have photos of them. That's cool, it looks really well done. Do you have any pictures of exhaust headers? You did say that X5 headers were used, but were they modified? 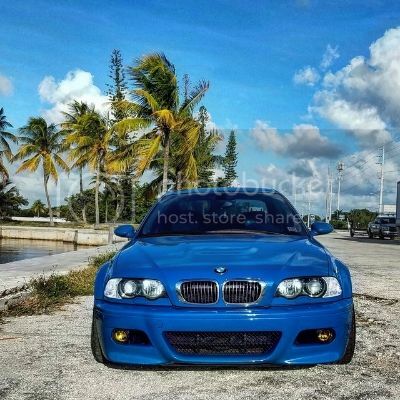 Edit: Don't first gen X5s and e46 share the chassis? If they do, then I am curious if M62 swap could be done without custom made exhaust headers and/or steering link mods . Last edited by jM2.me; 12-31-2013 at 11:04 PM. Ahh, neat. How about swapping wires and electronics? Just some minor re-wiring and moving pins? I have been eyeing M62 on local craigslist. Complete 4.6 engine for a grand. Was thinking about taking break from college this summer and doing the swap since we already have welding machine, engine hoist and stand, and more than enough tools. More pictures or videos? I still think this project is amazing. A swap like this would be awesome after college. Did you do all of the electrical wiriing by yourself? What I have posted is all we have,it wasn't enough time for this project,so it is as it is. Maby our customer will send me some photos after the car will be with new interrior and after the paint shop. I am planning this swap. you mention that the e30 subframe will be easier for the swap... what do you mean? And what modification does the oil sump need to fit? Also could e39 front subframe go into e46 for even easier install?? Is possible to modify the oil pan to save front sway bar?